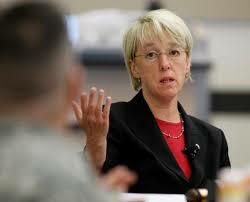 Merlin on the Washington State's Senate race…..
A new Statewide Survey in the Evergreen State shows that longterm Senator Patty Murray (D-WA) maybe vulnerable this year. Murray is barely over the 50 % Mark at which Incumbents considered to be vulnerable. She also leads 3 3rd Tier Opponents by double digits. 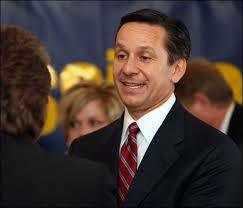 However she trails ’04 & ’08 Republican Governor Candidate Dino Rossi (R) by 2 Points. Murray holding barely over 50 % against unknown Opponents isn’t good. Obama is barely over water in the State & Governor Gregoire with a dismal 41 % JA. The Republicans should play here. From the Dog…..Murray is really cruisin here…. ‘Certainly the best-known of the Republicans, Rossi attracts 48% of the vote in a match-up with Murray while the incumbent earns 46%. One percent (1%) like another candidate, and five percent (5%) are undecided. So Rasmussen is polling a GOP person that isn’t a candidate.……. Merlin on the Washington State’s Senate race…..
Hello and good morning Dog! 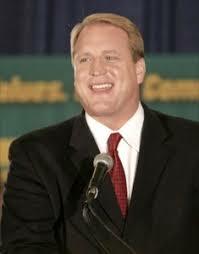 Could Iowa Governor Chet Culver (D-IA) be the next Incumbent Democratic Governor to retire? 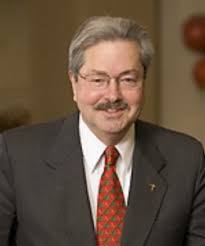 A new Selzer & Co. Des Moines Register Poll shows the Incumbent trailing former Governor Terry Branstad (R-IA) by 20 Points. Full Results at http://www.desmoinesregister.com/ Then click on Iowa Poll. This is really getting ugly for Culver. Those Numbers are even more worse than Ritter’s before the Colorado Governor announced his Retirement. My Name is Merlin and I’ll talk you through this. Update: Everything looks go. Principal Race Officer Harold Bennett plans to lower the AP Postponement Flag at 16.14 Local for a Start at 16.25 Local. Update: Alinghi now leading. Unbelievable. They clawed back nearly 500 Meters. Update: Alinghi now leading by 500 Meters. This is incredible. Man, I never thought this would be possible after the first Race. Update: Now it’s Race 1 all over again. 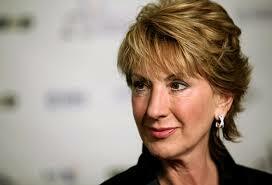 Oracle leads by over 1,5 kilometres. 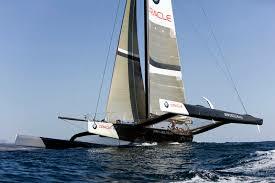 Update: BMW ORACLE WINS Race 2 and the 33RD AMERICA’S CUP. The Tropy Presenation will be available here.……. Update:.…..The Italian Team will be the Challangers to Oracle in the 34th America’s Cup race!…..
Merlin on the Texas Governor GOP Primary and General….. 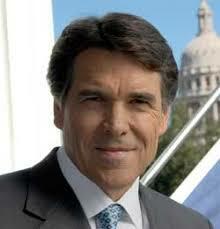 Yes I know we already have a lot of those Surveys but here is another Texas Republican Governor Primary Survey. There will be many more Primary Polls coming in the next 2 weeks. Ah, Perry still not above 50%….The Dog smells a run-off in the making!